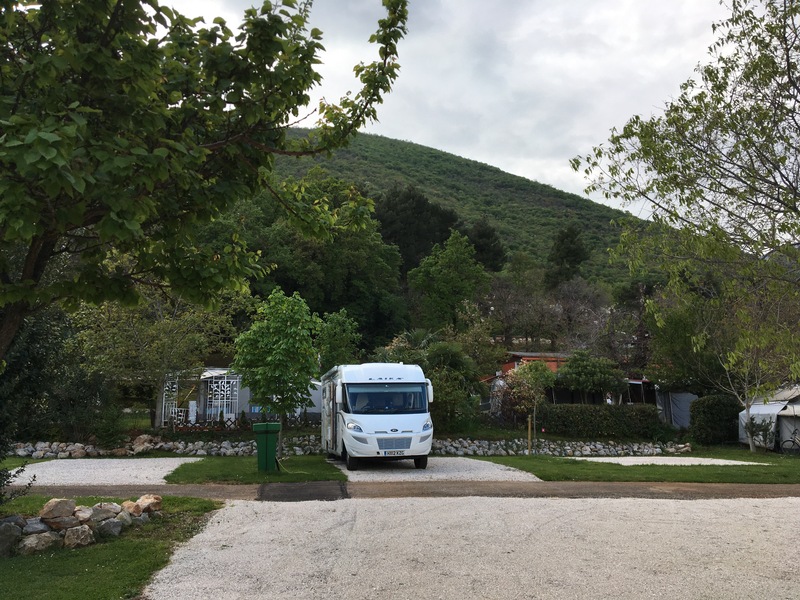 We left Italy and took the motorway north of Trieste and on through Slovenia following a winding road through the mountains. The route in both directions was dominated by a land train of trucks travelling nose to tail bringing goods in and out of the eastern bloc countries. In less than two hours we had crossed into Croatia, formerly part Yugoslavia, gaining independence in 1991 and now part of the EU. 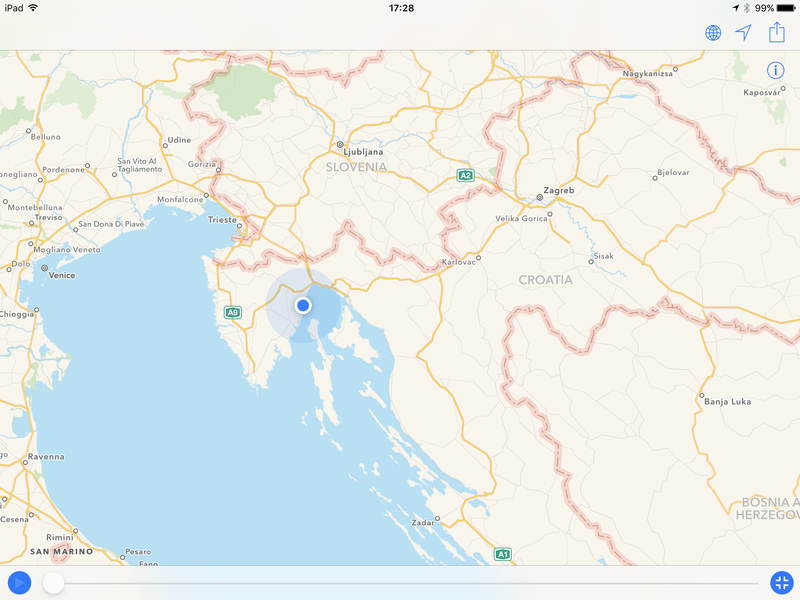 We were heading for a camp site on the island of Krk on the Adriatic coast. It was raining and the wind had increased as we followed the Tom-Tom route to our chosen destination. 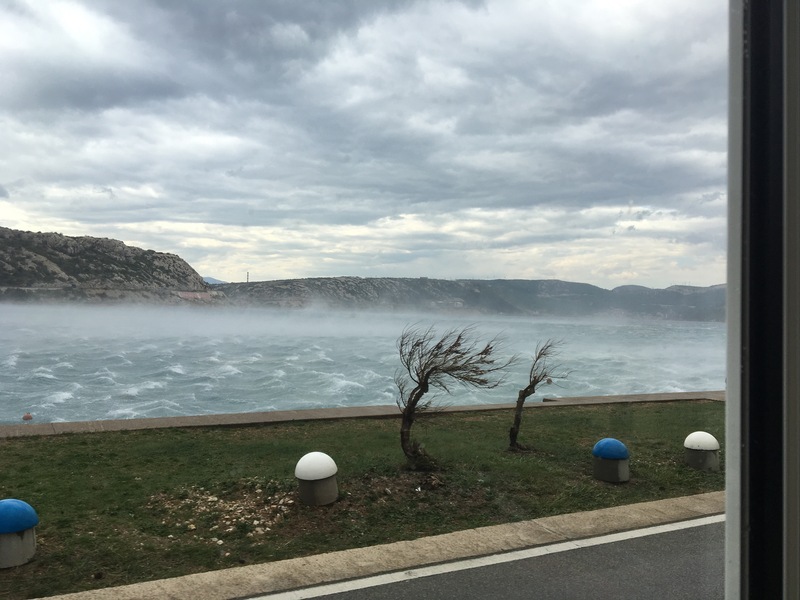 Unfortunately the motorway was blocked by a landslide that closed the road completely and so we continued to re-route until we were finally defeated by the closure, due to high winds, of the viaduct bridge connecting the mainland to Krk. We had no option but to turn around and find an alternative camp. After another two hours of concentrated driving we eventually found a camp site at Draga, further up the coast. This entry was posted in Croatia, Hong Kong, italy, Slovenia by Mopelia. Bookmark the permalink.